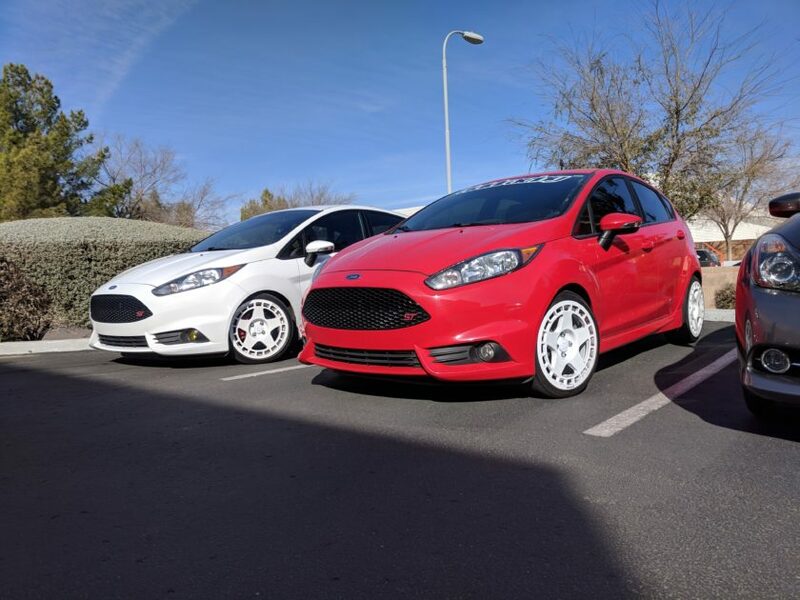 It has now been a little over a year since I bought my pre-owned 2015 Ford Fiesta ST. In that time I have contemplated many different modifications but ultimately left it stock so my warranty wouldn’t be voided. 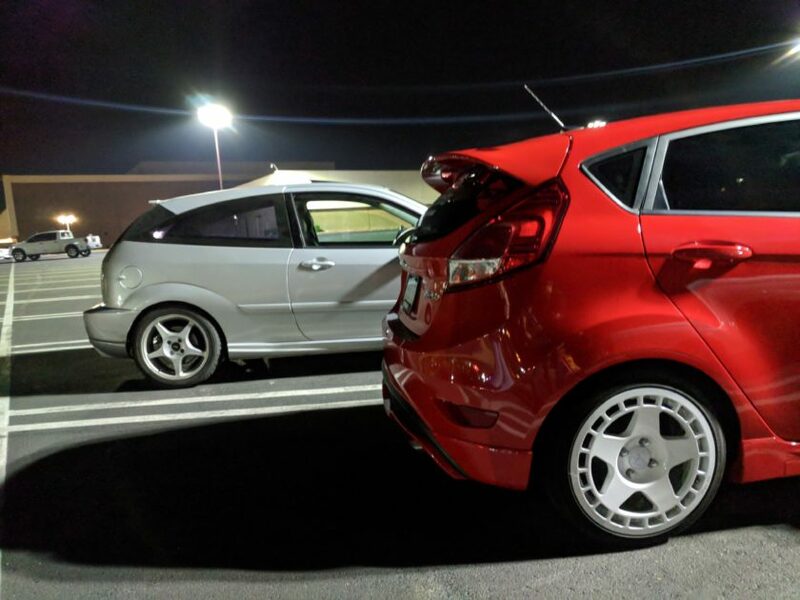 Just recently, however, I picked up a set of used Drag DR-34 wheels which had been used as track wheels on someone’s Fiesta ST. Unfortunately, one or more of those wheels was bent and the seller wouldn’t return them. I drive around 55-65 miles on the highway every single day for work and the shaking wheels limited me to around 75mph. 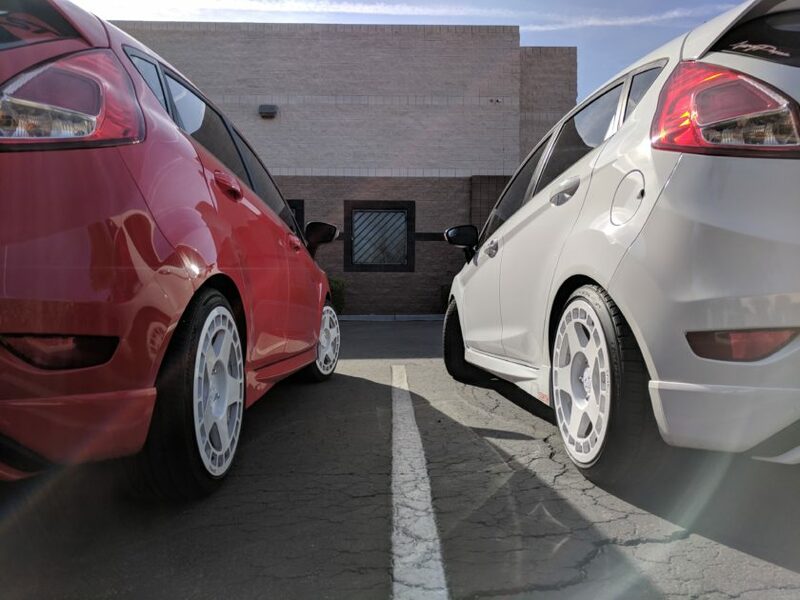 Two paychecks later, I decided it was time to get rid of the bent wheels and buy the wheels I always dreamed of since I bought my Fiesta: Fifteen52 Turbomac. 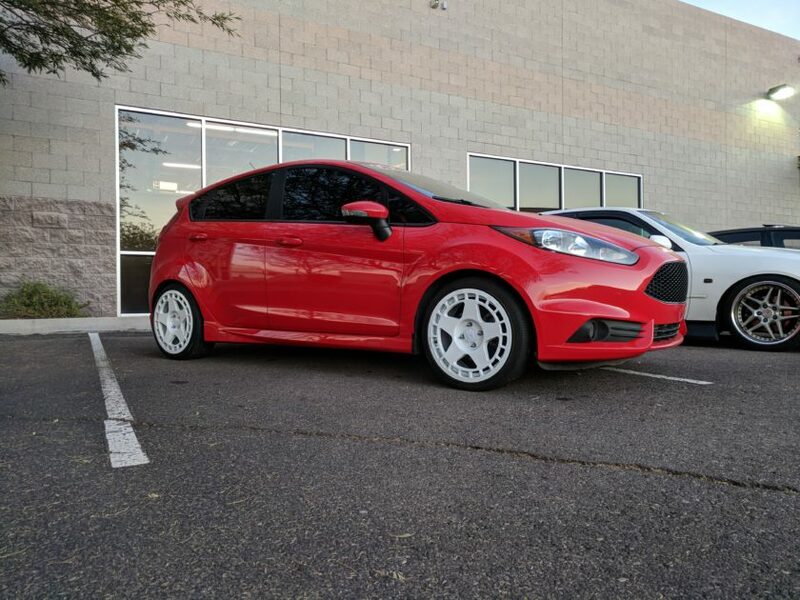 Shoutout to Vivid Racing and Fifteen52 for helping me get my new wheels quickly and at a great price. The same day my wheels arrived I also found a Cobb Accessport for sale on the Facebook marketplace and purchased it that night for $320. 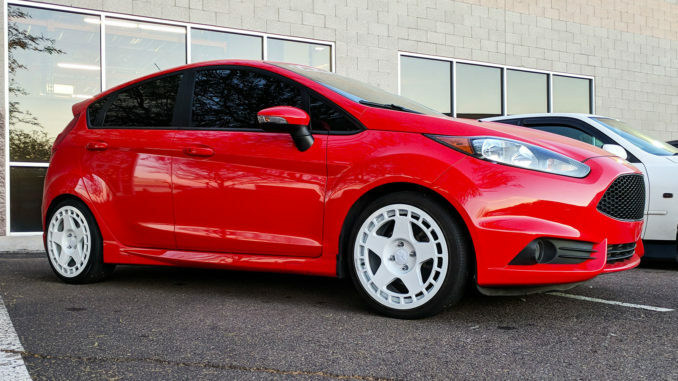 After lots of Googling, I couldn’t really find a good picture of a stock ride height, Race Red Fiesta ST with white Turbomacs, so I wasn’t positive how it would look. After dropping my car off at Element Wheels during lunch at work, I returned hours later to pick up my car. As soon as I saw the wheels I was in disbelief how good they looked. Although my car sits a little high with the stock suspension, it gives it a slight rally car vibe which I absolutely love. Sure enough, I drove on the highway with my brand new wheels and it wasn’t shaking anymore! Now it was time to head to the bank, grab some cash, and drive over to the gentleman with the Cobb AccessPort. Purchasing the AccessPort wasn’t anything special. I looked it over, talked to the gentleman selling it (he sold his Fiesta ST for a BMW 335i), gave him the cash, and drove home. Once I got home I did a little bit of research because I was clueless on how to do anything with it. Shortly after I plugged it into my car, selected the Stage 1 91 octane option, let it do it’s thing and went out for a drive. Right off the bat, I was very impressed with the amount of torque the Cobb Stage 1 tune had compared to the stock car. 3rd and 4th gear pulls hard where it fell off on the stock tune. I tried the “economy” slot on the tune for about 10 seconds. It severely limits boost and makes your car absolutely awful to drive. With my not-so-sticky all-season tires (thanks, AutoNation Ford for giving me crappy tires), launch control blows the tires off. I can launch fairly well by just holding the car around 2k RPM. With launch control, however, the car has more boost right off the line and just spins like crazy. Until I get stickier tires, Launch Control is basically useless, although it sounds amazing with my exhaust setup. Check out the short YouTube video!